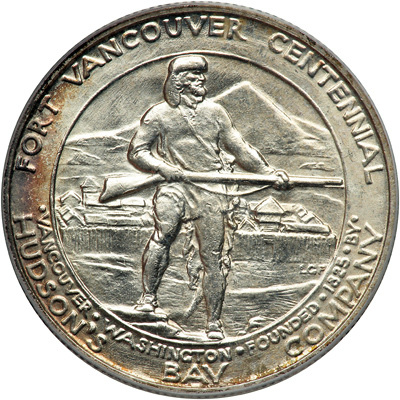 To honor the 100th anniversary of the founding of the Fort, the Fort Vancouver Centennial Corporation petitioned Congress for a commemorative coin. 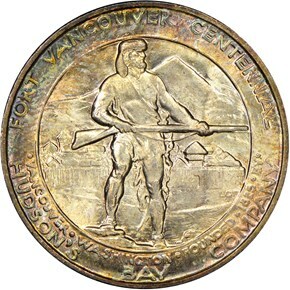 The proceeds from the sale of the coin were to help fund centennial celebrations in the present-day city of Vancouver. 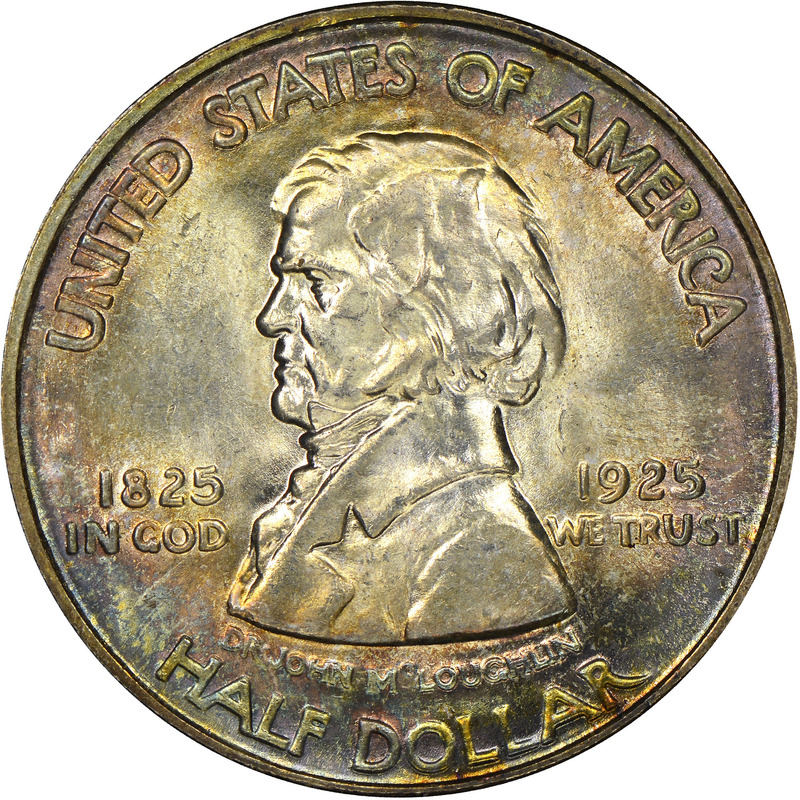 On February 25th, 1925, legislation was passed authorizing the mintage of up to 300,000 half dollars honoring the centennial. Laura Gardin Fraser was chosen to design the coin after the original artist’s designs were rejected. Her final design for the Vancouver half depicted a left-facing bust of McLoughlin taken from a sketch by John T. Urquhart. 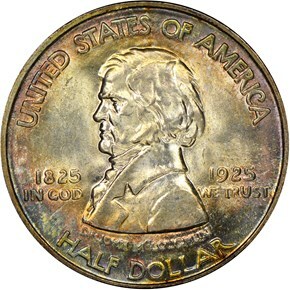 Encircling the bust at the periphery are the inscriptions UNITED STATES OF AMERICA and HALF DOLLAR. Flanking the bust are the dates 1825 1925 and the legend IN GOD WE TRUST, with Dr. JOHN McLOUGHLIN below. 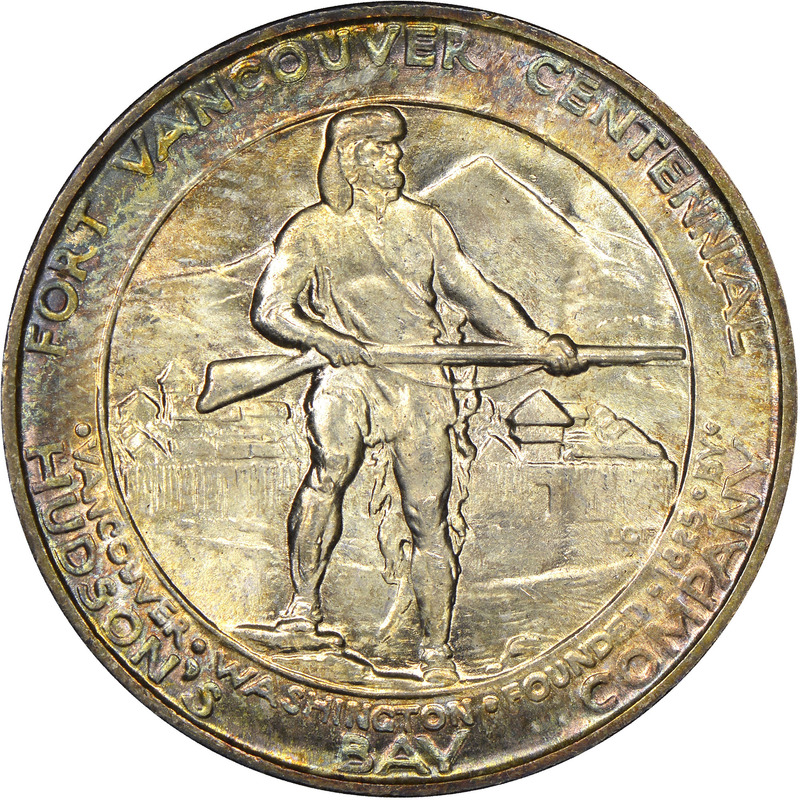 The reverse depicts a buckskin-suited trapper with rifle against a background featuring Mt. Hood, the Fort Vancouver stockade and the Columbia River. Around the rim is FORT VANCOUVER CENTENNIAL •VANCOUVER •WASHINGTON • FOUNDED •1825 • BY HUDSON’S BAY COMPANY. Although the coins were struck at the San Francisco Mint, the mint mark was left off in error. While authorized to strike up to 300,000 pieces, only 50,000 coins were actually stuck. As a publicity stunt, these 50,000 coins, weighing some 1,462 pounds, were flown from San Francisco to Vancouver. This was the first round-trip airplane flight from San Francisco to Vancouver to be made in a single day. The coins were then offered at $1 a piece, with the majority selling at the week-long Centennial celebration that began August 17th. Sales were disappointing, however, and 35,034 coins were returned for melting, leaving a net mintage of 14,966. 1/24/2008 — No matter what its metal, a coin’s surface can provide vital clues to both how it was made and how it was preserved. Skip Fazzari offers an in-depth overview of how to decipher these clues. 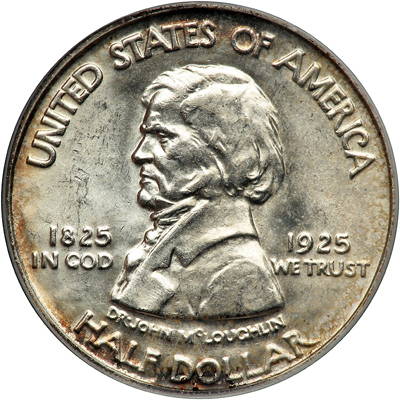 9/21/2007 — In the years since the U.S. opened multiple mints, there have been a number of instances in which coins have been struck without a mintmark letter. NGC’s David Lange examines the history of these anonymous coins.